The WR-T10/WR-R10 Wireless Remote Controller units use radio frequencies to communicate; by pairing together a WR-T10 and one or more WR-R10 units. 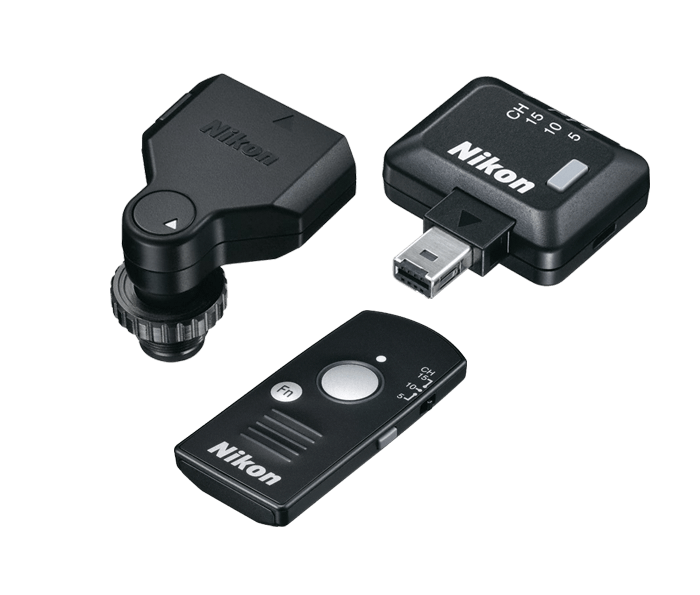 The WR-A10 WR Adapter is designed to work with the WR-R10 Wireless Remote Controller (transceiver), allowing it to be connected to select Nikon cameras with a 10-pin connector, to wirelessly control the shutter release. DSLRs without a 10-pin connector do not need the adapter. The WR-R10 can also be used to control Nikon radio-controlled flash units such as the SB-5000 Speedlight.